I have been a Los Angeles County wedding minister for many years, and I have officiated weddings of all kinds, including civil wedding ceremonies and religious wedding ceremonies, all over Los Angeles County and Orange County in many Van Nuys Wedding Locations. Consider the Airtel Plaza Hotel, a wonderful Southern California wedding venue that you might consider for your wedding. Or if you are interested in a more casual wedding, give me a call and we can discuss the many options for your wedding location. 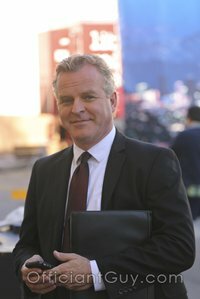 As one of the top wedding officiants in Los Angeles, I suggest that you choose the modern spirit of the Airtel Plaza Hotel & Conference Center for your wedding and reception. Airtel Plaza is located in the heart of the San Fernando Valley, a short drive from Hollywood, Beverly Hills, and Santa Monica. It offers the ideal location for your wedding celebration. You can celebrate in beautifully restored venues personally designed to reflect your style. You can set the perfect tone with a rehearsal dinner at Landings Restaurant and Patio. You may choose to exchange your wedding vows in the Midway Gardens’ wedding gazebo. The courtyard’s bubbling fountain and picturesque landscaping lend a romantic backdrop. 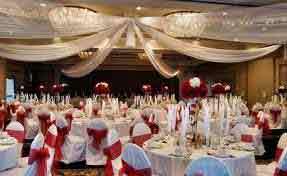 The Airtel Plaza Hotel also several wedding banquet rooms to choose from. 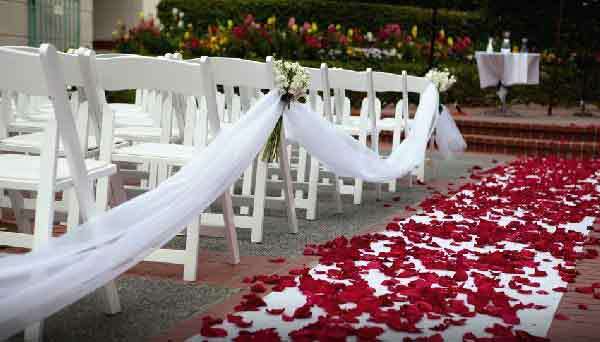 The personalized service is exceptional and you have many choices of wedding packages. Pick one of the top wedding officiants to perform your wedding ceremony and then welcome your guests to a candlelit reception in the adjacent Gulfstream Ballroom. Throughout your event, the Airtel catering manager will be available to ensure your special occasion turns out exactly as you’ve always imagined – intimate, unique, and unforgettable. Consider the Airtel Plaza Hotel if you are thinking of having your wedding ceremony or reception anywhere in Los Angeles County or Orange County, California. 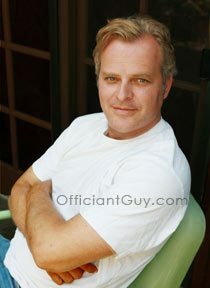 When you are considering wedding officiants for your important day, please consider me, the Officiant Guy.